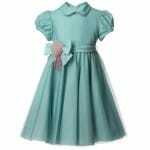 This is a cute dress for girls by Aletta. Made in Italy. 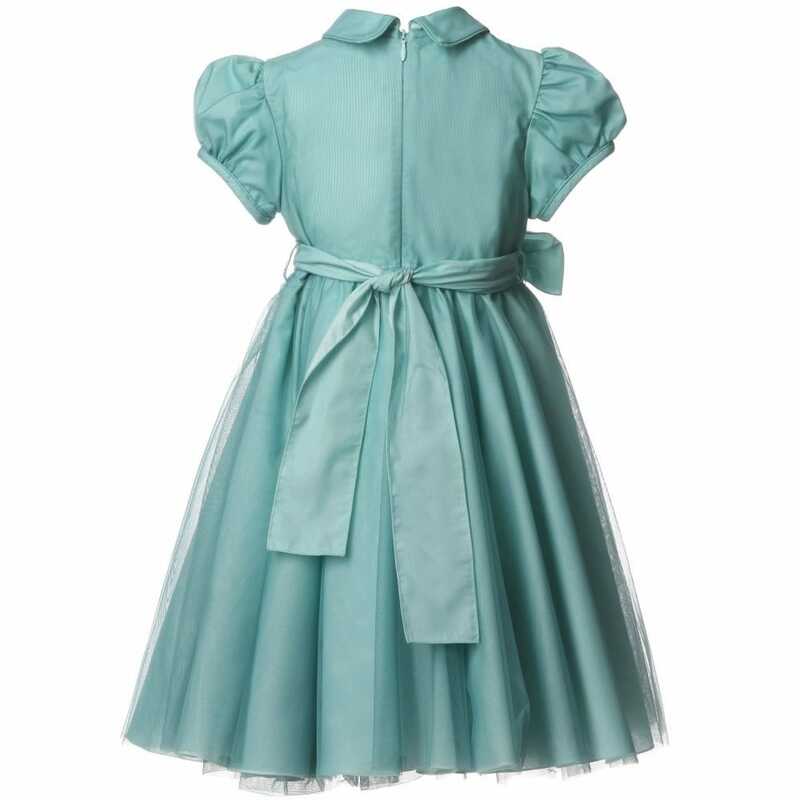 The dress is made in beautiful aqua green color. It is made from cotton with tulle overlay. This model is a classical dress with puffed sleeves and neat collar. It also has a belt with a bow and pale pink flower. 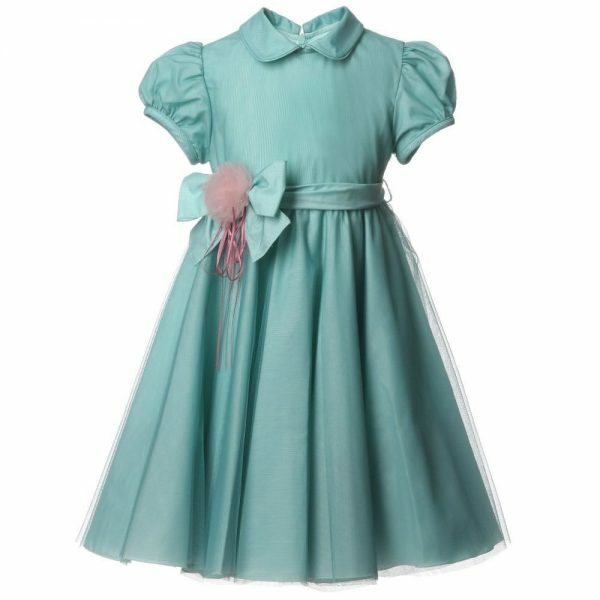 This dress is perfect for every special occasion and will make your baby girl to shine. 30*C machine wash is recommended. The dress is available in several different sizes for babies at any age from 6 month to 8 years.